I hadn’t remembered that I had done this one on my own, not a typical thing for CW contests. The low QSO total did match my CW skills though! 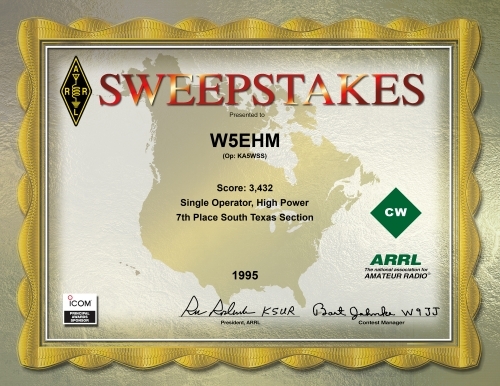 This only garnered a 7th place finish in STX but it did give the UT Amateur Radio Club station a CW entry in that year’s Collegiate Championship.